Paying insurance for your vehicle can be quite cumbersome and can burn a big hole in your pocket, especially if you are aged between 18 and 25. Therefore, buying a car which provides cheap car insurance premiums is important for numerous consumers in the UK. Insurance premiums each year for a standard hatchback car ranges between GBP 700 to GBP 1000. The amount of premium a car owner pays depends on a lot of factors such as the size of the engine of the car, the range of features and benefits it is equipped with, the purpose of driving and the history of the driver. It is imperative that cheaper cars tend to provide lesser insurance premiums courtesy their easy maintenance and thus, ranks in the list of the best cars to insure. Also, minivans and SUVs attract a lesser premium cost as compared to the luxury cars and the sports models. Below we have listed the top 10 best cars to insure which provide value for money and are the best in class. Although priced at a slightly higher rate as compared to its rivals, the Renault Twingo provides a host of benefits to its owner. Starting from a well organized design which promotes ease of parking, the layout of the engine which is placed at the rear end of the vehicle which renders much power to it’s rear wheels. 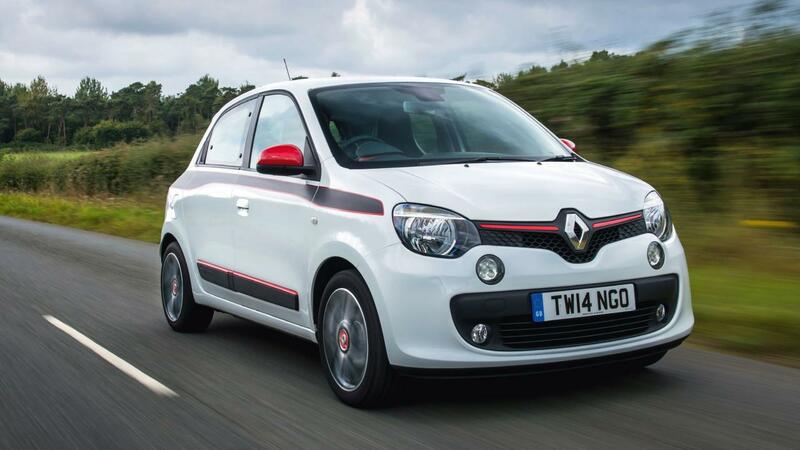 Priced at GBP 9500 upwards, the Renault Twingo is currently one of the best cars to insure in the UK in terms of the features as against the pricing. As compared to it’s contemporaries in the same price range, the Skoda Fabia wins hands down in terms of it’s spaciousness and pricing ratio and it’s durability as being the perfect family car. It is a versatile car with a straightforward and modern design and looks great. The Skoda Fabia 3rd generation car is about 65 kgs lighter than it’s earlier version and this can be instantly felt whilst you take the sharp turnings. This car is priced at GBP 10600 upwards. It is also one of the cheapest and best cars to insure, courtesy the vehicle falling in the range between group 1 to group 7 for insurance. The Skoda Citigo is equipped with abundant space as compared to it’s low running cost. The basic architecture of this vehicle resembles its counterparts such as the SEAT Mii and the Volkswagen Up. The one aspect which sets the Skoda Citigo apart from it’s competitors is the driving experience it offers. It offers a perfect vehicle for city driving. The interiors of this car are plush and can be compared to the more expensive vehicles makes it one of the best cars to insure. Skoda Citigo is priced at GBP 8200 upwards. The SEAT Mii is an efficient car when compared with it’s sister cars such as Volkswagen Up and Skoda Citigo. It is equipped with additional speakers and alloy wheels to provide that additional luxury in the look and feel of the vehicle. The SEAT Mii is priced at GBP 8100 upwards and is considered one of the best cars to insure because of its fuel efficiency. The Dacia Sandero is perhaps the cheapest cars available in the UK market and packs a punch in terms of it’s ample interiors. The leg space and the boot space is noteworthy and it’s fuel economy is pretty considerable as compared with the other hatchbacks at this price range. The Dacia Sandero is priced at GBP 6000 onwards and courtesy it’s pricing, is one of the best cars to insure. Priced at GBP 7900 upwards, the Kia Picanto is a small car and comes at a far cheaper cost as compared to the other hatchbacks. It also packs in a small fuel bill, boasts of a greater warranty and features in the list of the top cars to insure, reason why it is preferred by numerous consumers in the UK. The Vauxhall Corsa is a great car and a long time favourite of the consumers in the UK. This is an ideal vehicle if you are looking for affordability and easiness to drive around. The car, being one of the best cars to insure, is equipped with a strong and smooth petrol engine and has smart interiors although not luxurious which is why it is a suitable motor for school fleets and driving schools. The Vauxhall Corsa comes in a three door and five door variety and is priced at GBP 9600 onwards. The Ford Fiesta perhaps does not feature in the list of cheapest cars in the UK but is one of the best selling vehicles in the UK. It comes with the most balanced features completed with affordability, space, economy and driving satisfaction and ticks a 10 on 10 in terms of the level of comfort it provides. The easiness and fun element associated with the driving experience coupled with the fuel economy makes it one of the best cars to insure. The Ford Fiesta is priced at GBP 1000 onwards. The Hyundai i10 1.0 is more spacious as compared to the other cars in this range and comes with a comparatively bigger boot. The car has an excellent all round visibility and is equipped with a light steering. If you intend to buy a car within a limited budget which will cater to your practical needs, there is no vehicle better than this one. The Hyundai i10 is priced at GBP 8500 upwards and offers a cheaper insurance premium amount and thus, features in the list of the one of the best cars to insure. The Up is the smallest car manufactured by Volkswagen and is known to provide the same comfort which is associated with the brand. This car is priced at GBP 8600 upwards and falls under the low insurance group and therefore, is one of the best cars to insure. Volkswagen Up promotes the ‘black box’ insurance scheme offered by the company wherein telematics will be employed to monitor the driving and the premium of the vehicle will be decided accordingly. However, even the cost of insurance premium primarily depends on how many times a claim is made and the magnitude of the claim. It is essential to closely examine the features and benefits each insurance provider offers before making an informed decision about which insurance to buy.